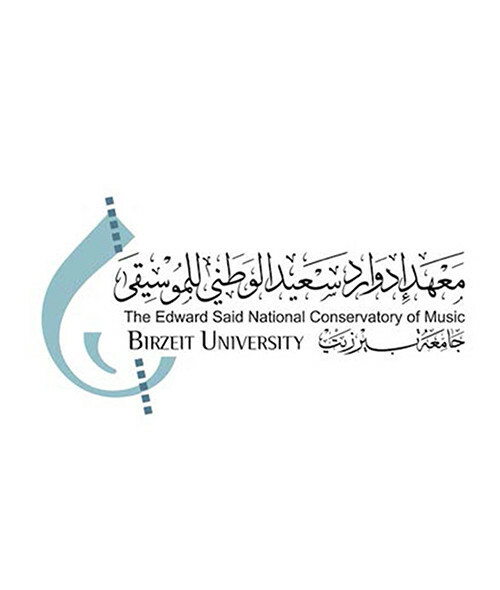 The Edward Said National Conservatory of Music (ESNCM) is an initiative of five dedicated Palestinian musicians that started more than twenty years ago, under the umbrella of the board of trustees of Birzeit University. It has now become a powerhouse of musical creation, talent, and a nest for Palestinian cultural identity. With more than one thousand students spread throughout five Palestinian cities including Jerusalem, Gaza, Ramallah, Nablus, and Bethlehem as well as numerous outreach centers, the ESNCM has dramatically changed the musical landscape of Palestine and has brought music and music appreciation into new levels never witnessed before. Open to all has been the ESNCM's motto since its early days with a vast scholarship scheme that has made it possible for thousands of Palestinian children and youth to learn how to play a musical instrument or sing in a refugee camp choir. Led by a dedicated team of trustees, music managers and over seventy music teachers with a clear vision and long term goals, the ESNCM has managed to put Arabic art music onto a new horizon of admiration and understanding amongst the Palestinian community. Endangered traditional Arabic instruments have been revived attracting the young generation with a lot of zest and enthusiasm. The 'Layali A Tarab fi Quds Al Arab' Arabic classical music yearly festival has become a platform for the display of Palestinian talent as well as a form of passive resistance to the military occupation. However, the classical western music tradition has also been a fascination to hundreds of young Palestinian enthusiasts through which they perceive themselves as equals to their young musician counterparts throughout the world. The Palestine National Orchestra, the Palestine Youth Orchestra and the Palestine Strings have spearheaded this enthusiasm and have been a source of pride to their members and to the Palestinian community at large. The ESNCM has been adamant about professionalism and fighting mediocrity. This is why it has been doing its best to create the paramount environment for its students to excel through the building of new state of the art facilities and through the creation and development of a musical program of education. It has created development of productions and publications of the highest standards possible with the help and generous support of the local and international community.